Located in the middle of a garden in North-East London, the Hackney Shed is a cozy little work space by Office Sian Architecture + Design. 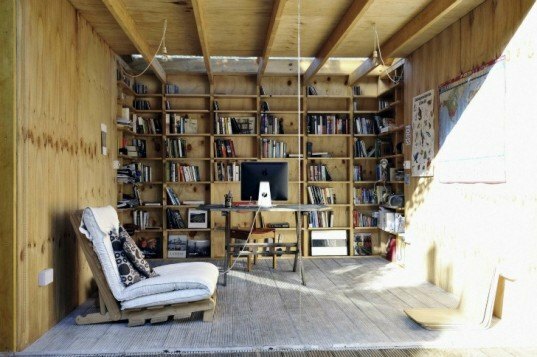 Perfect for stay-at-home workers looking to get some air, this neat one-room concept is a studio that uses a simple framework to maximize the small space available. It even incorporates a library within the structure and a concealed light in the roof, while floor to ceiling retractable oak doors open out to beautiful views over the surrounding garden. Working with sustainably sourced timber, the London-based studio attempted to limit waste by using what modular sizes of wood were available. And with their commitment to low energy usage, Office Sian ensured the award-winning shed design was well insulated to keep heating bills down. 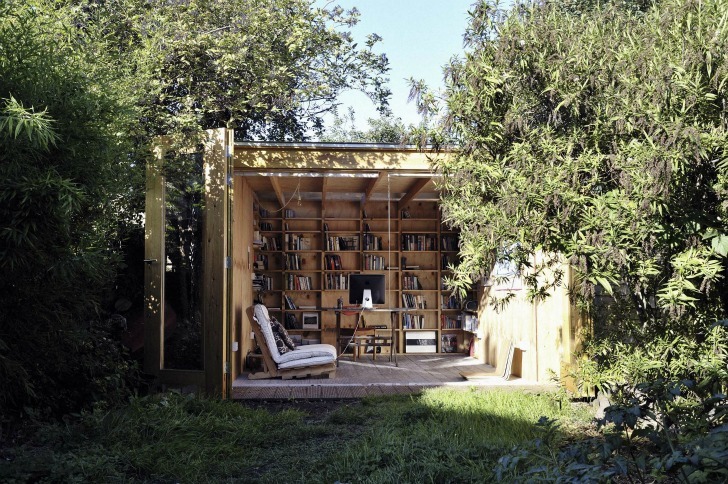 Located in the middle of a garden in North-East London, the Hackney Shed looks like a brilliant cozy haven for working. Designed by Office Sian Architecture + Design, this neat one-room concept is intended as a studio and office space on a budget. Working with sustainably sourced timber, the London-based studio attempted to limit waste by working with the modular sizes of wood available. Committing to low energy usage Office Sian ensured the award-winning Shed design was well insulated to keep heating bills down. The simple framework and structural design maximises on what limited space is available, incorporating a library within the structure and a concealed rooflight. Floor to ceiling retractable oak doors bring in lots of light to create an inspiring yet humble workspace with views over the garden.